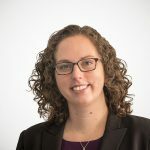 State tax discussions generally focus on two variables: the amount that a state collects in revenue, and the various marginal rates of taxation that a state charges. There is a third important factor to consider: a state’s tax burden. Tax burdens measure the percentage of total income that goes to taxes. 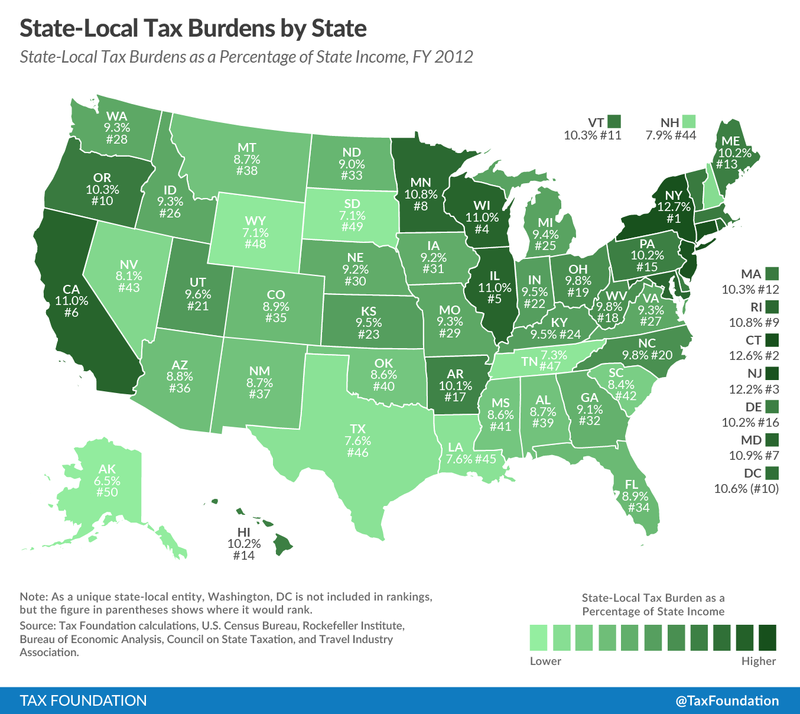 Our new report, State-Local Tax Burden Rankings, calculates the tax burden for each state. The map below shows the results for all 50 states. Tax burdens go beyond tax collections. Taxpayers pay state and local taxes to their own state of residence, but also pay taxes to other state and local governments. For instance, when a family takes a vacation to Disney World, it pays a variety of taxes to Florida. The family might encounter taxes on hotel rooms, rental cars, food, and many other things. They pay taxes in Florida, but the actual burden of the tax resides back in their home state such as Indiana. Understanding how states shift taxes across state lines is a valuable component of state tax discussions. For fiscal year 2012, 9.9 percent of personal income went to state and local tax payments. This is down from 10.1 percent fiscal year 2011. Average income increased at a faster rate than tax collections, driving down state-local tax burdens on average. New Yorkers faced the highest burden, with 12.7% of income in the state going to state and local taxes. Connecticut (12.6%) and New Jersey (12.2%) followed closely behind. On the other end of the spectrum, Alaska (6.5%), South Dakota (7.1%) and Wyoming (7.1%) had the lowest burdens. On average, taxpayers pay the most taxes to their own state and local governments. In 2012, 78 percent of taxes collected were paid within the state of residence, up from 73 percent in 2011. State-local tax burdens are very close to one another and slight changes in taxes or income can translate to seemingly dramatic shifts in rank. For example, Delaware (16th) and Colorado (35th) only differ in burden by just over one percentage point. However, while burdens are clustered in the center of the distribution, states at the top and bottom can have substantially different burden percentages—e.g. New York (12.6%) and Alaska (6.5%). To read our report in its entirety, visit www.taxfoundation.org/burdens. Follow Nicole on Twitter at @NKaeding.